We may ask you to sit in the dental chair and hold your child during the examination. You may also be asked to wait in the reception area during part of the visit so that a relationship can be built between your child and your dentist. 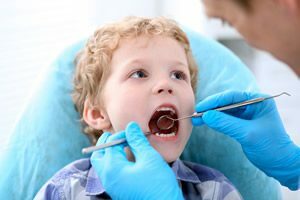 Tooth decay and children no longer have to go hand in hand. At our office, we are most concerned with all aspects of preventive care. We use the latest in fluoride free dental sealant technology to protect your child’s teeth. Dental sealants is a space-age resin that are bonded to the chewing surfaces of decay-prone back teeth. This is just one of the ways we will set the foundation for your child’s lifetime of good oral health.